Hemingway loved them. I have always been repulsed by them. That is until an insistent friend, Philou and his beautiful wife Dominique, properly introduced me in Paris. They took me to a cafe in the St. Germaine area that served the “best oysters in Paris”, they urged me to try them. 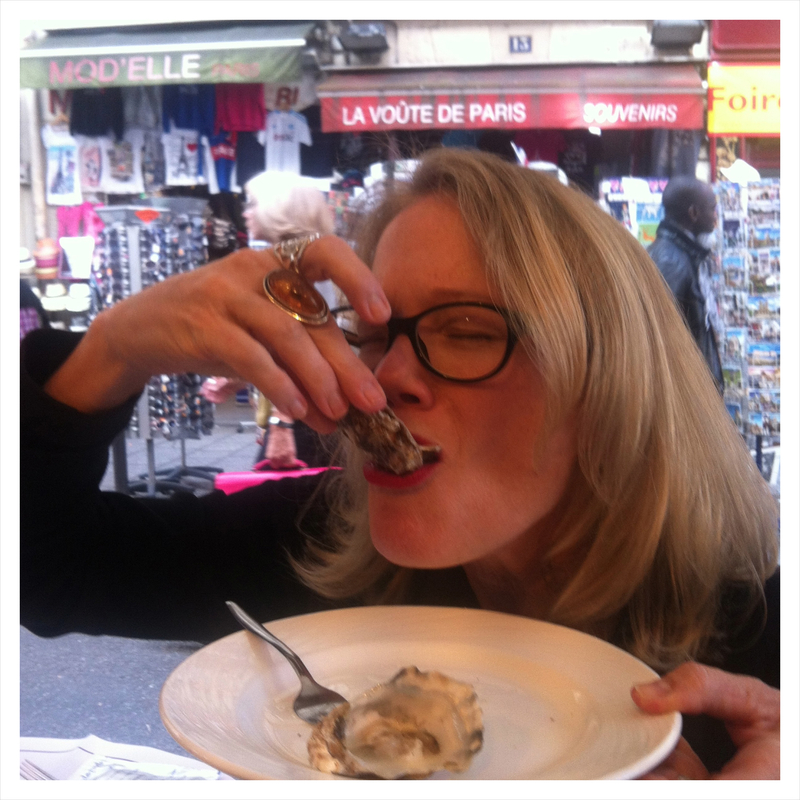 I thought, “OK I am in Paris, why not?” After holding that ice-cold oyster doused in lemon juice up to my lips and sucking it down, I was hooked. Now I understand the feeling Hemingway was talking about. The sheer joy of daring something new, or partaking in what you love, truly does bring happiness. 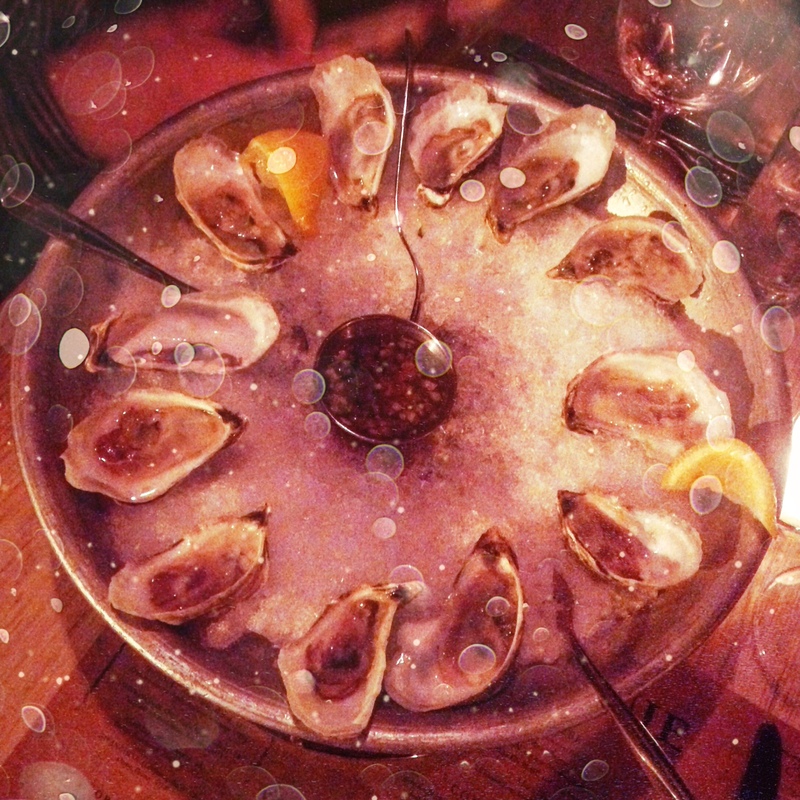 Then my dear Melissa introduced me to a little bar in Brooklyn that had an oyster happy-hour. When she invited me, I thought “no way, I can only eat them in Paris”, but I discovered The Colonie’s offering of fresh oysters were as delicious as the ones I had in France. (Unknown to me that Brooklyn has quite a history for being THE place for fresh oysters.) Served by the dozen, these delicious little treats packed a cold zing when topped with their unique vinegar/garlic sauce. Add a bottle of Miraval Rosé Côtes de Provence with your dozen or so, and voila! There was nothing better than being in the moment with my niece, following her lead, letting her introduce me to something SHE loved. Beautiful. I suppose you could say the same thing about a scoop of gelato or a perfectly grilled juicy piece of steak. However, in my case, there was something exciting about learning to eat oysters (something I had avoided my entire adult life) and not being afraid of the texture and the taste. It made me feel a little fearless (thank you Hemingway), which did fill me up and make me happy! I am talking about taking chances, living outside your current routine, not being so judgmental, opening up to new things, not always having to get your way, and above all, being present in the moment. When we are aware and stretch ourselves to reach beyond our fears, it promises to bring us to a new level of patience, understanding, and satisfaction. But not only that, it also expands our horizons to confidently see what we are made of and what our limitations are. When we boldly go outside our comfort level and beyond our preconceived opinions and experiences, the whole world becomes our oyster! That in and of itself is very satiating. I am about to embark on a new adventure in my personal life. It’s scary. The task seems daunting and the emotions I am dealing with are pushing all kinds of buttons. Being uncomfortable and choosing to embrace the unknown is requiring me to cowboy up, focus, stand tall and take many deep breaths so I can leap past my insecurities toward unlimited possibilities. After living in Plano Texas for 23 years, I have decided to pull up stakes and begin a new chapter in my life. I am very grateful that my business is a virtual model, so I can work from anywhere. I am single with no young children, and able to go and explore anywhere I want. The sky is the limit! Yet, it is taking everything within me to make this decision. I believe, I doubt. I trust, I don’t trust. I am confident, I am scared. Nevertheless, deep in my heart I am settled and focused and expecting that life will meet me and the Universe will guide my heart along the way. Leaving my little nest is a lot more serious than popping salty, cold oysters. I mean wow! But when I read Hemingway’s quote from A Moveable Feast, it became real to me in my current situation. I connected with him and could imagine him sitting on his beloved fishing boat eating oysters. Even with all of his problems, in a simple act of being present he found solace, he felt the emptiness leave and happiness return. Perhaps it wasn’t just the salty cold essence of the sea that had this effect on him, but also the joy of experiencing something he truly loved.